Safe and sustainable healthcare waste management is vital part of protecting human health and the environment, and there are numerous technologies for different situations, from small healthcare facilities to large centralised treatment plants. 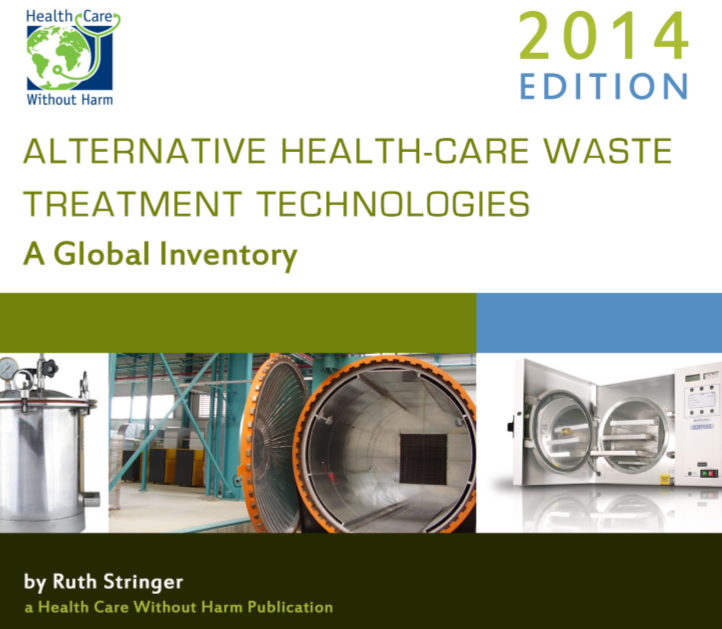 To aid in the procurement of appropriate technologies, Health Care Without Harm first published an inventory of non-incineration healthcare waste treatment technologies in 2007. The 2014 version has been fully updated and provides listings of suppliers from twenty nine countries, from Albania to Zimbabwe. Health Care Without Harm is also working on an online database, which will be released on Febrary 2015. As well as the most widely applied technologies, such as autoclaves, the listing covers several different steam and heat based technologies, such as microwaves and frictional heating, and chemical based technologies like ozone disinfection, and alkaline hydrolysis, which can safely destroy pathological wastes and laboratory cultures. For the first time, it also includes new categories such as needle or syringe destroyers, which can prevent many of the needle stick injuries which happen during the disposal of syringes. New companies enter this dynamic market all the time, and existing ones updating their products periodically. The 2014 Global can be downloaded from here.